If you’re after the rare combination of unique looks, excellent functionality AND an affordable price, the Houzer PCG-3600 is likely the kitchen sink you’re looking for. It offers all the three said features, and much more. So without further ado, let’s take a more in-depth look at its features. In a sea of metal kitchen sinks, the porcelain Houzer PCG-3600 WH Porcela doesn’t have to do much to stand out. However, if you’re mistaking that for this sink not being as durable as the metal ones, you may want to think again. Porcelain can be a very durable material if used the right way. Needless to say, well-made porcelain sinks can give their metal counterparts a run for their money as far as the durability is concerned. The porcelain enamel the Houzer PCG-3600 WH Porcela is made of is heated twice at 1500 degrees Fahrenheit to make it incredibly durable, as well as stain, chip, and scratch-resistant. Furthermore, it also results in the sink getting an adorably smooth surface that makes the cleaning and maintenance a breeze. The surface is actually also non-porous, meaning that it’s going to be perfectly hygienic which can otherwise be an issue when it comes to some of the cheaper kitchen sinks on the market. 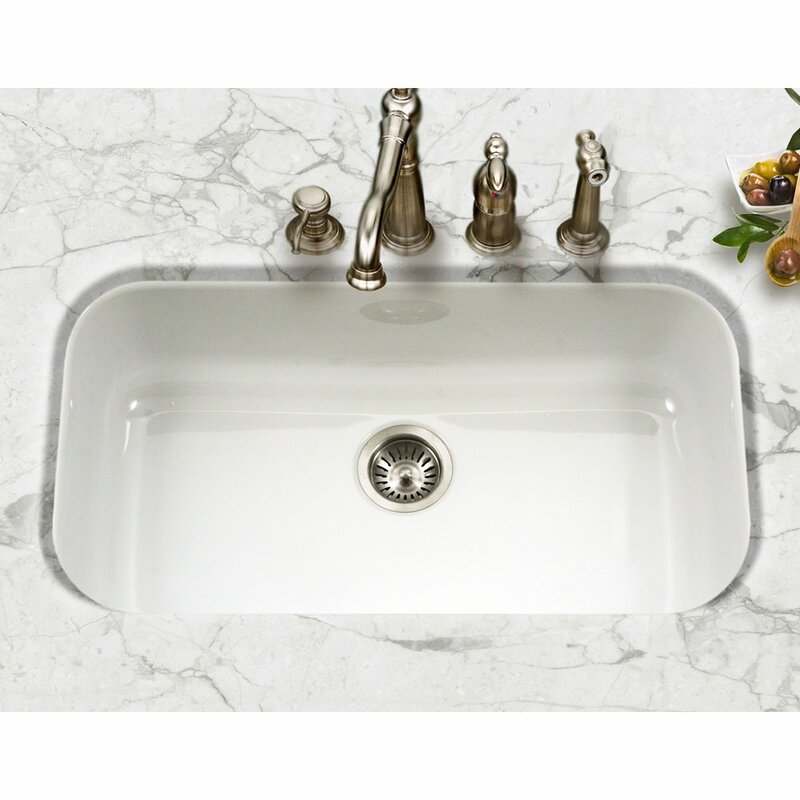 While a well-made porcelain sink can be a much more unique option when compared to the usual copper and steel ones, it can also enhance the overall look of your kitchen much better. The Houzer PCG-3600 WH Porcela is not only unique in the way that it’s made using porcelain, but it also looks really beautiful and has a natural shine to it that would immediately get the attention of anyone that ends up setting their foot into your kitchen. However, the good news is that unlike other kitchen sinks that boast attractive looks and design, the Houzer PCG-3600 doesn’t demand a lot on the maintenance front. Given the high-quality porcelain it’s made of, there aren’t going to be any water spots either. In fact, you will be surprised how little time you have to spend to make this little jewel looking as good as how it did when it first arrived. Oh, and if you have quartz countertops, the Houzer PCG-3600 WH Porcela is going to absolutely rock it when it comes to giving your kitchen the “million-dollar” look. The Houzer PCG-3600 WH Porcela is one of the rare few sinks on the market that comes with the toughness of a cast iron sink WITHOUT the weight. Despite being a solid and highly durable sink, the Houzer PCG-3600 is surprisingly lightweight. This makes the installation very easy and hassle-free. As of late the market seems to be witnessing an influx of sinks that look pretty small, but offer just as much space as the huge ones. The Houzer PCG-3600 WH Porcela is one of them. 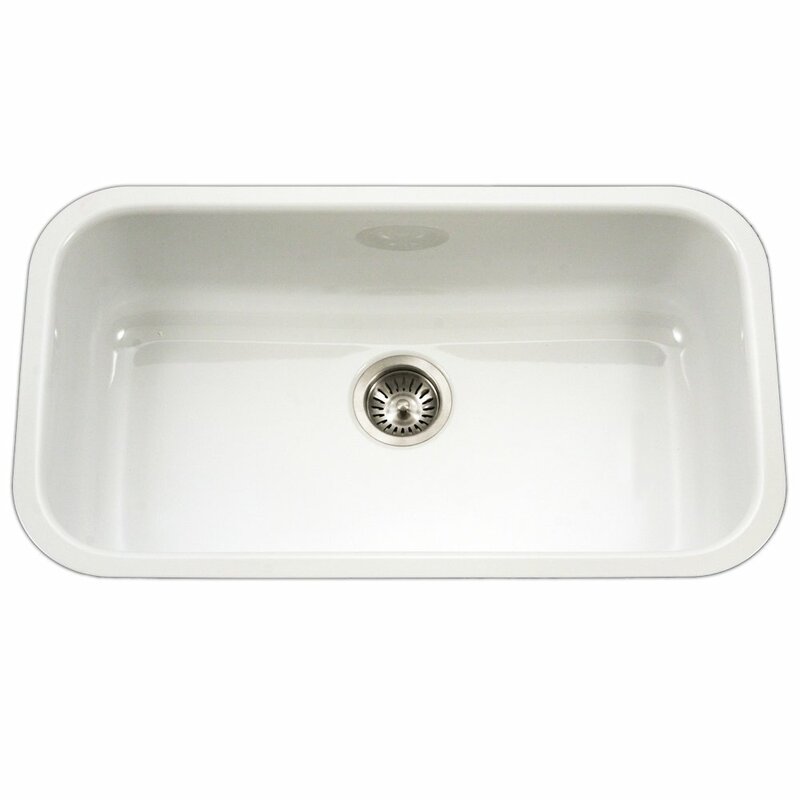 In fact, it’s probably the deepest sink you will find in its class and price range. There have been customers that bought this sink that said how deep it is and that they have no problem doing all their usual washing while enjoying a great level of convenience. While the Houzer PCG-3600 is a great choice for everyone looking for a new kitchen sink, it’s probably the absolute best you can get (especially on a budget) when remodeling your kitchen. Unless you have any specific requirements or looking to spend top dollar on a kitchen sink, you may want to order it right away!